The CEO of SWIFT revealed today that the institution is working on a proof-of-concept for integrating blockchain start-up’s R3 trade finance platform with SWIFT’s GPI framework. The Society for Worldwide Interbank Financial Telecommunication (SWIFT) is a global banking payments network. It works with over 11,000 institutions and moves an estimated $200 billion every day. We are announcing later today a proof-of-concept with the R3 blockchain on trade where you can initiate a payment on the trade platform and then it goes into GPI. We’re exploring interconnectivity with a lot of things and banks have always been a part of that interconnectivity. The GPI initiative was introduced by SWIFT back in 2017 and it’s intended to speed up payment-processing times, lower the costs and increase transparency. However, it relies predominantly on currently existing infrastructure and as such, it can be rather slow and expensive. SWIFT’s published error rate is six percent. Imagine if six percent of your emails didn’t go through without additional human intervention. Swift today is a one-way messaging framework, it isn’t a liquidity provider. When we think about an internet of value, it’s a mixture of two-way messaging frameworks — moving to a real-time chatting protocol if you will — coupled with real-time liquidity. On the other hand, Leibbrandt said that his company’s historic reluctance about blockchain has been fueled additionally by volatile swings and sharp declines in the price of cryptocurrency. 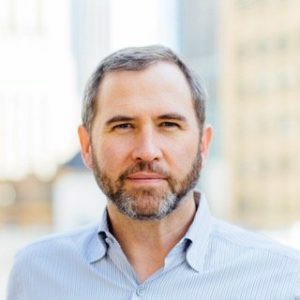 He also outlined that a large part of Ripple’s value proposition is XRP – the cryptocurrency and that banks are reluctant to convert because of the volatility. It’s worth noting, however, that last year R3 launched an application aimed to enhance global cryptocurrency payments, Corda Settler, the first settlement mechanism that it decided to use was XRP. And while R3 and Ripple are technically competitors, following SWIFT’s announcement the price of XRP 00 marks 8.8% increase at the time of this writing. What do you think of SWIFT’s announcement? Don’t hesitate to let us know in the comments below! The post XRP Price Pumps As SWIFT Partners With Ripple Rival R3 appeared first on Bitcoinist.com.